Come experience At the Movies where church and movies meet. This blockbuster four-week series will be both fun and impactful as we dive into some of Hollywood’s biggest hits to unpack spiritual truths for our lives. You’re sure to enjoy it every Sunday, and we hope to see you there! Bring someone with you to the movies! That’s a great question. There will be FREE popcorn and pop available during the service before the message begins. Take pictures with your favorite movie characters. Uplifting music. Plus an encouraging message through a “movie” each week! How long is each service “At The Movies”? Every weekend service will be 75 minutes long. Is there something special for kids? 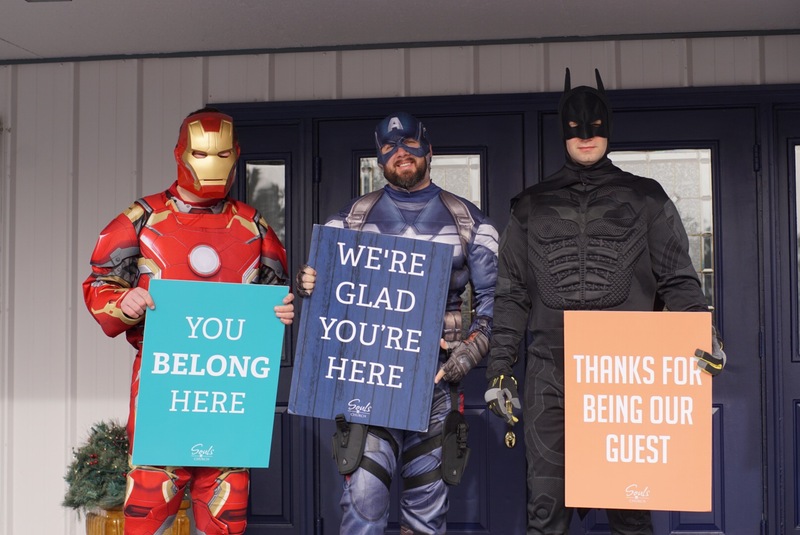 Yes, every weekend our kids will be part of our services for “At the Movies” – plus there is real life movie characters for our kids to get their picture taken with each weekend. This is a great series for the entire family. (Plus, we picked movies that will impact both kids and adults alike). Is childcare available at these services? Yes, nursery is available at every service – for newborns to age 3. You can: Pre-Register Your Kids Here! What is a service like during this series? A countdown video starts each weekend, followed by a time of uplifting music, short encouragement, video announcements and then THE MOVIE – which will feature a Hollywood movie sharing a spiritual truth that can change your life – each service will end with prayer and a chance to respond to what God speaks to your life! This is a service you have to experience – just once! Good one. Everything is FREE. We would love to have you as our guest any weekend during this series. 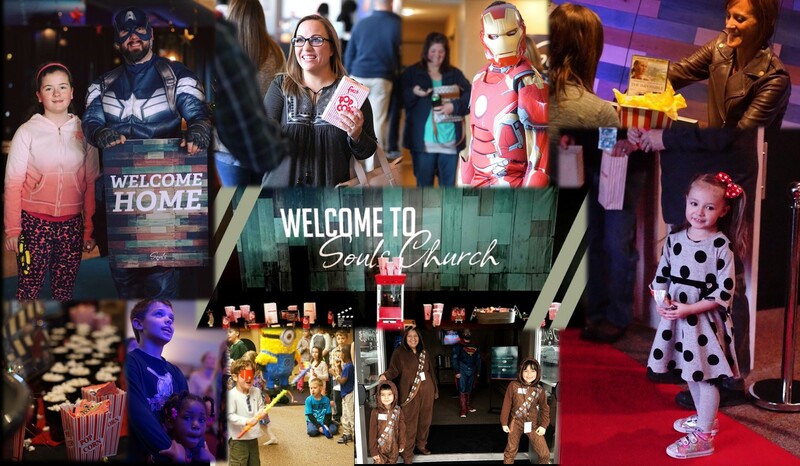 Click here for more information about what to expect at Souls Church!